Some of fashion's biggest names attended the couple's wedding in New York City. Jacobs is known for throwing some of the most-talked-about parties in the fashion industry, so it&apos;s no surprise that his wedding, which took place at the landmark Seagram Building, was over-the-top in the best way possible. Thanks to some social media sleuthing, we were able to gather a few juicy details from the post-nuptials shindig. Read on for some highlights from #marcandcharswedding. For starters, the newlyweds wore matching penguin pins made from diamond and onyx. According to the designer&apos;s Instagram, the set is a gift from Fabio Zambernardi, who&apos;s the design director at Prada and Miu Miu. Plus, Jacobs wore boots from Gucci, though Alessandro Michele provided plenty of options to choose from before the big day. 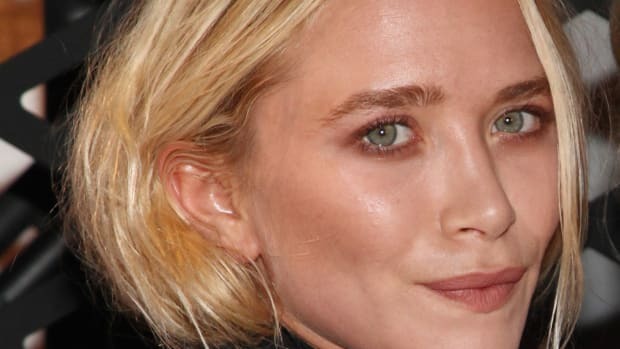 Of course, fashion and entertainment&apos;s biggest names attended the couple&apos;s special celebration, including *deep inhale* Naomi Campbell, Kate Moss, Amber Valletta, Christy Turlington, Gigi and Bella Hadid, Kaia Gerber, Debbie Harry, Lil&apos; Kim, Helena Christensen, Christina Ricci, Katie Grand, Tim Blanks, Emily Ratajkowski, Rachel Zoe, Chloë Sevigny, Luka Sabbat, Hamish Bowles, Bryanboy, Laura Brown, Cindy Bruna, Erika Jayne, Anna Wintour and even Phoebe Philo. Obviously there are plenty more to name, but we can only scour through Getty and Instagram for so long. An extravagant party wouldn&apos;t be complete without an equally extravagant wedding cake. Jacobs and Defrancesco went with a white five-tier vanilla-and-almond cake from Ron Ben-Israel Cakes. Dancing, dancing and lots more dancing happened at the couple&apos;s wedding, too, from special fosse-style performances — this is a couple that got engaged with a flash mob, after all — and guests alike. And what&apos;s a wedding reception without a photo booth moment? Guests took advantage of the quirky #content setup, complete with a pink backdrop and artsy props in black and white. Lastly, one of our merch predictions for 2019 has come to fruition, as the couple gifted its guests with a special memento in the form of clothing, naturally. In collaboration with Scott Campbell and titled "The Wedding Sweatshirt," each hoodie came in white and was embroidered with two otters holding hands and the phrase "don&apos;t float away," an homage to Jacobs and Defrancesco&apos;s sweet wedding vows. Congratulations to the married couple! We wish you a lifetime of love and happiness. 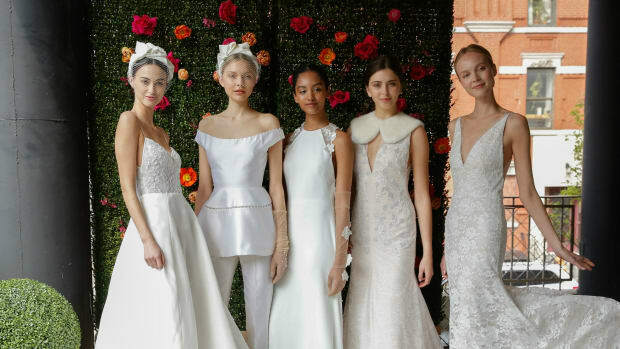 Etsy and Lyst released their latest trend reports for future brides. Plus, Naomi Campbell, Kate Moss and Ellie Goulding were among the celebrity guests.